JNTUA MBA/MCA IV Sem (R14) Regular/Supply Exams results Nov/Dec 2016, jntu anantapur mba 4th sem results, jntua mca 4th sem results 2015 released at jntuaresults.azurewebsites.net. 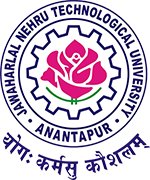 JNTU Anantapur has released MBA/MCA 4th Semester Regular and Supply Examinations results Nov/Dec 2016. Students can check their MBA & MCA 4th Sem regular/ supplementary Exams results from below given links. The candidates who wish to apply for recounting of theory external marks / challenge valuation / photocopy of answer script should submit the requisitions to their Principals along with the attested statement of marks with necessary fee on or before 01.02.2017.
when will u release the mba r14 3rd semester results, as well as when will u conduct the 2nd semester supply results for regulation r14. when 4th sem supply results coming.i was writing january 2016.